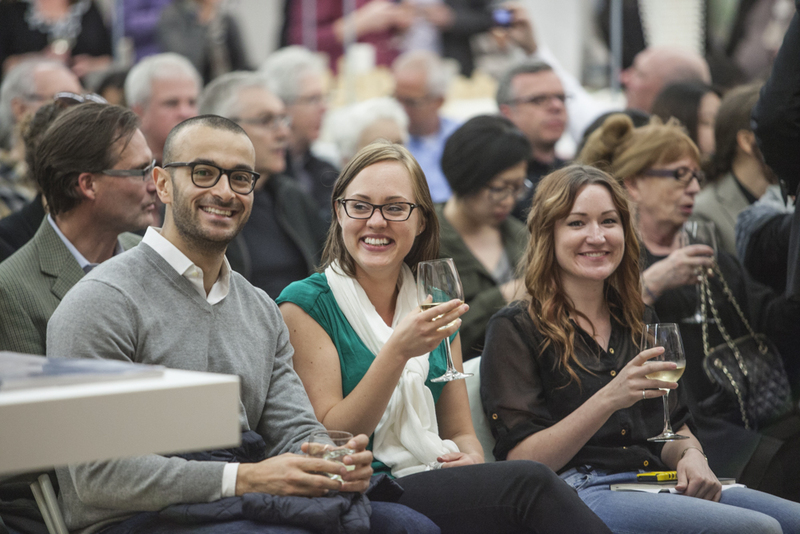 Larry Beasley, former co-director of planning for the City of Vancouver and Member of the Order of Canada, held the attention of a rapt crowd last night at the second evening of Westbank’s Salon Series. Beasley spoke to a packed room about why he stayed in Vancouver (because he could see it “had a soul”), why great design and architecture should be the standard, affordability and accessibility, and how to build better, smarter cities with the help of visionary planners, developers and designers. Our next salon is Tuesday April 22, 2014 with Chris Phillips, the founding partner of Phillips Farevaag Smallenberg Landscape Architects (now PFS Studio). Tweet your questions before next week at @gwerkca with the hashtag #gwerksalon — we’ll be picking a winner to continue the conversation with exhibition curator Trevor Boddy, Phillips and other guests at ORU following the salon.